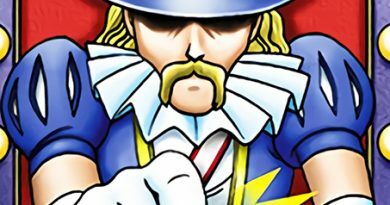 Most card games aim for some sort of mechanical identity where different cards, decks, or archetypes have mechanics associated with them. Perhaps the most famous example of this is Magic: The Gathering’s color pie. In it, the different colors of mana have associated strengths and weaknesses. 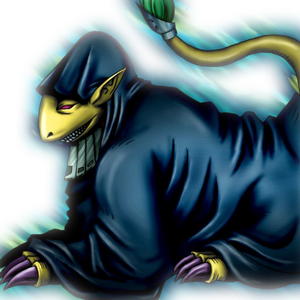 In this series of articles we will be examining the mechanical identities of the different attributes in Yu-Gi-Oh! and what that means for card design. What does it mean to be WATER? Water monsters are often thematically tied very closely to the ocean. Some directly need it represented to utilize their effects. Others use this vague concept of “the depths”. The depths can come in the form of tossing something into the ocean, something hiding beneath the waves, or the unknown horrors of the unexplored. The final theme of water is exploration and sight beyond sight. Gaining information through scrying on the reflective surface of the water. Or perhaps just by diving in and having a look for yourself. Atlanteans probably instantly came to mind when I mentioned tossing things into the ocean. They gain powerful effects when discarded for the cost of a water monsters effect. There are also cards such as Nimble Angler and the ban(f)ish cards such as Oh F!sh! and Fish and Kicks that take other mechanical approaches to this concept. The ocean comes mainly in the form of the “Umi” cards. Starting with checks notes Umi, Konami made cards which need the ocean to reach their full potential. They have followed this up throughout the years with multiple cards that count as Umi and gain benefits from it being active. Like I mentioned, the Umi theme has been rather well supported over the years. A Legendary Ocean was the first of the field spells to always count as Umi while not being the original card. It was supported by the Fury from the Deep Structure Deck which contained Umi support of… varying quality. Levia-Dragon – Daedalus gains a powerful effect and becomes easier to tribute summon with A Legendary Ocean’s level reduction. Then there are cards such as Amphibious Bugroth MK-3 that aren’t good enough even if there was no restriction of needing Umi. Konami seems to have learned this lesson though. More modern cards utilizing Umi generally have effects that would’ve been above the powercurve without the restriction. A card like Codarus would have never been printed in 2010 if it let you send any field spell instead of Umi specifically. Culminating in what probably is my favorite piece of water support: Sea Stealth Attack. This card is designed to have synergy with both the newest “Umi” field spell Pacifis, the Phantasm City as well as the old school legendary ocean and legendary fisherman cards. While the spell/trap protection is a stretch, I love the flavor of disappearing into the ocean and resurfacing the next turn. I also like the flavor of the opponent’s monsters being dragged down into the ocean by our huge fish. This is how to design attribute support. Exploration comes in two forms mechanically. Finding hidden treasures from the nebulous depths and scrying into the future or spying on your enemies. Some of the “hidden treasure” style are cards like Deep Diver which will bravely go down and bring a monster you need to the surface. Perhaps too bravely, seeing as he has to die to do it. There is also Salvage, an excellent recovery card if your deck can support it. The sight beyond sight aspect is never as clear as it is in the Gishki archetype. They have a very heavy focus on manipulating and interacting with your opponents hand and the top of your deck. Flavorwise, the opponents hand is farseeing, looking at your opponents as they are planning and using that against them. 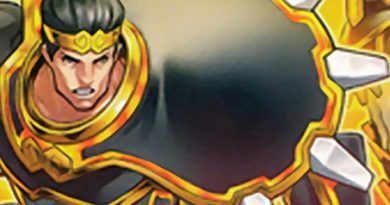 The top of your deck represents the future, and knowing the future can give you a great advantage with cards such as Gishki Zielgigas. This is a theme I would love to see explored more since I think it is very interesting. Say goodbye to your exodia! The third theme is tossing stuff into the ocean. This comes in two different forms. Beneficial effects when you discard your own things and effects that let you attack your opponents hand. Attacking the opponents hand is a notoriously powerful effect in the modern game, with many combos being built around doing it as many times as possible with cards like Omega, Gumblar, or one of the many water options. Moulinglacia the Elemental Lord has been a staple in Merlanteans and recently in Elementsabers for that very reason. Trishula, Dragon of the Ice barrier was banned and later limited in no small part due to decks like Infernity spamming out multiple in the first turn to rip multiple cards out of the opponent’s hand. 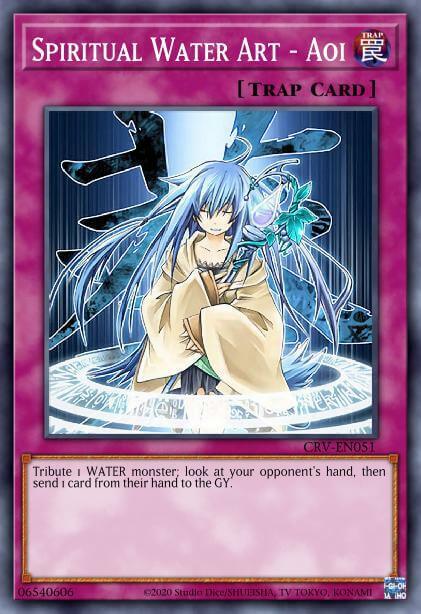 If we take another trip to the Forbidden and Limited list, we will find Evigishki Gustkraken, yet another water card that rips away the opponent’s hand. As I have alluded to multiple times in this article, the biggest strategy in the water attribute is Atlantean Mermail. The deck is even referred simply as WATER by a lot of players! This deck uses the theme of discarding to its full advantage. 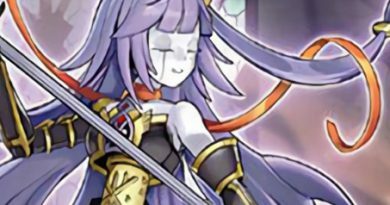 The extreme synergy of cards such as Neptabyss, the Atlantean Prince and Mermail Abyssmegalo leads to both quick OTKs, immense card advantage, and powerful turn 1 boards. Atlantean Dragoons lets these cards reach their full potential with the search effect that is not once per turn and is rather accessible. 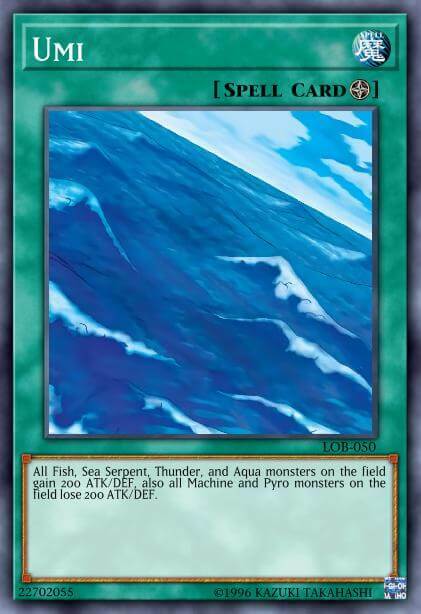 This theme has however led to some odd interactions such as Genex Undine triggering the effects of the Atlantean cards which does not appear to be intentional by Konami. The water attribute is one of my favourites when it comes to generic support. The themes integrate rather well with each other. All of the main focuses of water’s design are very functional. Compared to last week’s earth attribute, that is a breath of fresh air. Dont miss out on the generic water support the next time you are building a water based deck! Join me next week as things get heated with the fire attribute!